Many thanks to Alan V. Weinberg, who compiled, fact-checked and wrote the following submission about one of the top collectors of U.S. coins, who recently passed away. -Editor. R.E. (Roy E.) "Ted" Naftzger, Jr. of Beverly Hills, CA, a well known and highly respected numismatist of some 60 years died of age-related causes on or about October 28, 2007. He was 83 years old. The family had not notified the numismatic press and the news spread slowly around the community. At the recent Early American Coppers show in Dallas someone noted that Ted's death was mentioned in a Stanford alumni list. "Ted" Naftzger, as he was widely known, was a pre-eminent numismatist along the lines of Eric Newman in that his collecting interests extended back to the mid 1930s. His early contacts with major dealers like Abe Kosoff and Abner Kreisberg yielded many classic coin treasures and enabled him to build magnificent complete collections of early U.S. gold (it is said Ted owned two ultra-high relief $20's at one time), half cents and, I believe his first love, large cents. Ted had extensive financial interests in real estate and cattle ranches both foreign and domestic. But he was not always a wealthy man as he told me, over my kitchen table in 1996, that he had to take out a loan on his house to afford a complete collection of $10 and $20 gold pieces back in the late 1940's. I distinctly recall him telling me that back about 1938 he ordered an 1867 rays proof nickel for around $100 from a major coin dealer in one of his first mail purchases. He received what he perceived to be an Unc and tried for an entire year to get a refund. He finally obtained it, but he never did business with that dealer again. The dealer fairly recently admitted to me his frustration in losing decades of profitable business with Ted. Ted was a trusting gentleman. Stories abound. Rick Coleman, a half cent collector virtually unknown to Ted at the time, wrote to him inquiring about the availability of a particular pedigreed Unc 1793 half cent. Ted up and mailed him the half cent for examination, uninsured in a first class envelope! Apparently Ted's trust extended to the US Post Office! I personally had never done business with Ted before and knew him only by reputation when at 4PM New Year's Eve 1996 he drove out to my home, some 40 miles away, in a beat-up old station wagon. As he pulled up, I thought "Gee, can't the guy afford a newer car?" At my kitchen table as New Year's Eve events approached, he offered me a Gem Unc S-1 Chain cent (ex Tom Elder estate circa 1946 at $1000) and a choice AU S-1A cud Chain cent (ex-Garrett/Johns Hopkins University). This was in response to my classified ad in Penny-Wise, which has got to qualify as one of the most extraordinary opportunities to extend from a classified ad! I couldn't afford them and declined. He offered me "terms" - Terms? What terms? Two years, no interest. No down payment! I couldn't refuse. My wife arrived home while Ted was still there and gave me the "evil eye" - "How much did you just spend?" Ted & I shook hands, I accepted the coins and Ted was walking to the front door. "Wait a minute! Don't you want something in writing from me? No, I trust you." Stressing that something can happen to one of us, I gave Ted something in writing. Talk about trust! But Ted's trust extended a bit too far in one historic transaction. In the 1970s, he bought Dr William H. Sheldon's large cent collection for about $300,000. 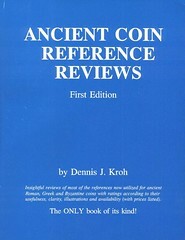 It turned out that, decades later, many of the coins were discovered to have been switched out of ANS and probably some switched or stolen out of T. James Clarke's magnificent large cent collection and the Anderson Dupont large cents (both of which it is alleged Dr Sheldon "tampered" with). Because Ted was such a serious "gotta have it" collector and perhaps because the ANS was advised of the switched large cents starting in 1973-74 and never pursued the issue for another two decades, Ted felt safe in retaining the coins and eventually selling many of the coins in one huge transaction in 1992 to Eric Steiner, then-youthful NYC dealer. The coins were subsequently resold and traded into many different collections and the result was a years -long legal battle in civil court between the ANS and Ted and other innocent 3rd party collectors. This issue took a health and financial toll on Ted (approximately $1 million in costs) from which he would not recover. But his name will live on with the likes of Mickley, Bushnell, Stickney, Dunham, Norweb, Garrett, Ford, Starr, Col. Green, Boyd and others. On the web I discovered that Ted Naftzger had another hobby: fishing. In 2002 he was inducted into the International Game Fish Association's Hall of Fame. Since 1963 Naftzger has caught 49 broadbill on rod and reel, believed to be more than any other person in the world. And he is the master of daytime swordfishing - surface baiting and catching this most difficult saltwater sport fish at the most difficult time of day. Naftzger himself considers this nearly impossible in most waters but �the only really interesting and sporting way to catch them.� Ted Naftzger�s sportfishing accomplishments are many. Publisher Finds Last Dozen Copies In Move! 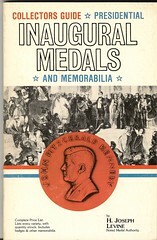 This 1981 classic by Joseph Levine ... Collectors Guide To Presidential Inaugural Medals and Memorabilia... is long out of print. I found 12 copies in recent move. Auction records to $35!